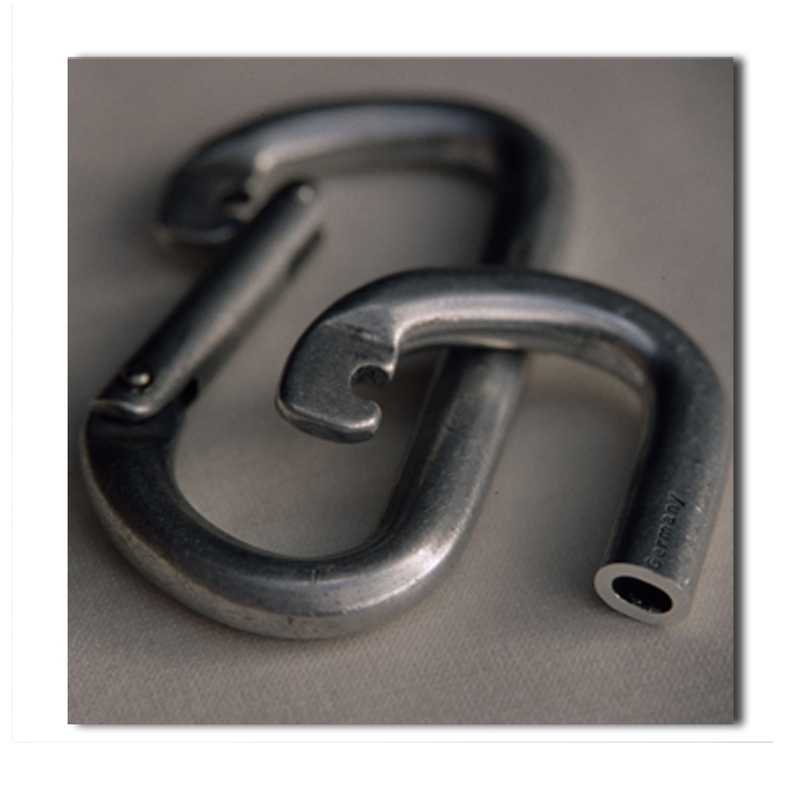 Today all climbing carabiners are made from solid metal. But in the 1970s SALEWA introduced a hollow design, that weighed only forty grams. This model was not only revolutionary because of its form but also because of the safety testing done on every unit. For the first time, each carabiner was individually tested before hitting the market. The slight indent on the curve of the pictured 'biner, is the mark left by the 1000kg test. Many climbers will look at the empty interior and imagine that hollow carabiners were unsafe. However, in a recent interview with Alpinist, SALEWA's former General Manager Hermann Huber said the hollow designs were abandoned because of breakthroughs in cold forging that allowed for lighter and stronger designs from solid aluminum.